I only wish I could mend pens, and then you should see how beautifully I could write. 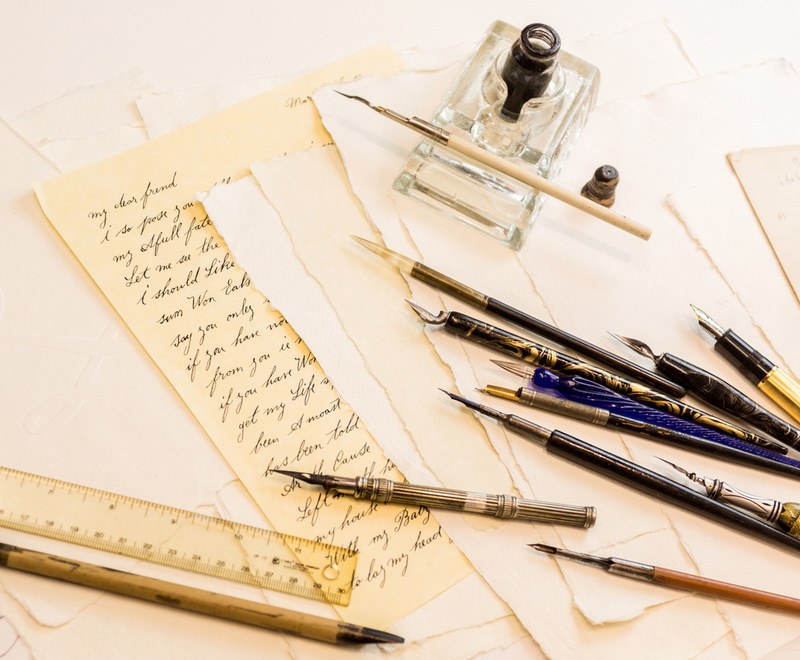 Join us for a very special bespoke workshop on modern calligraphy, by professional pen artists Love Calligraphy. 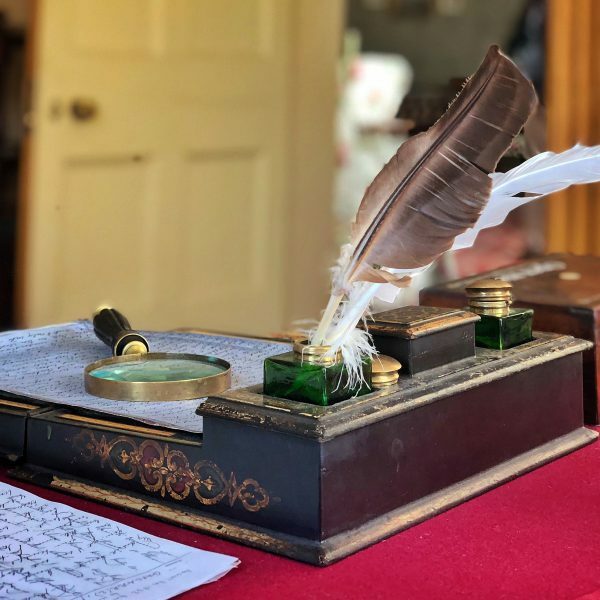 Inspired by the handwritten letters of Elizabeth Gaskell, you will learn the beautiful art of writing with ink and dip pen, and will have the chance to pen a gorgeous handwritten letter yourself. 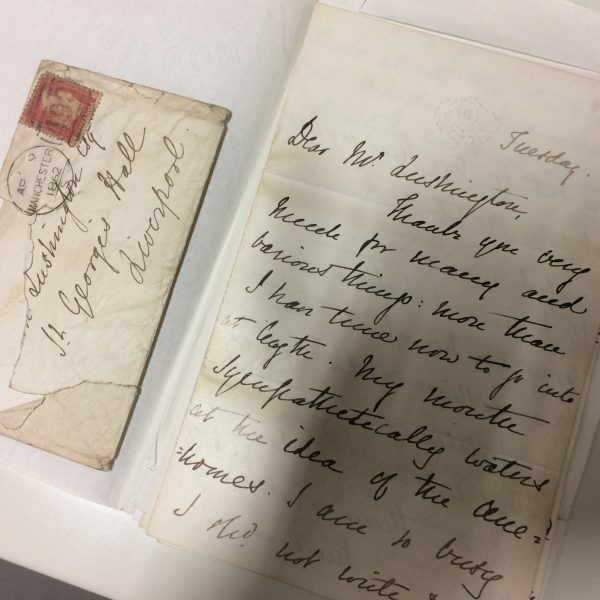 You’ll take inspiration from the letters of Elizabeth Gaskell here in the House, and enjoy a wonderful afternoon learning this elegant and contemplative art. 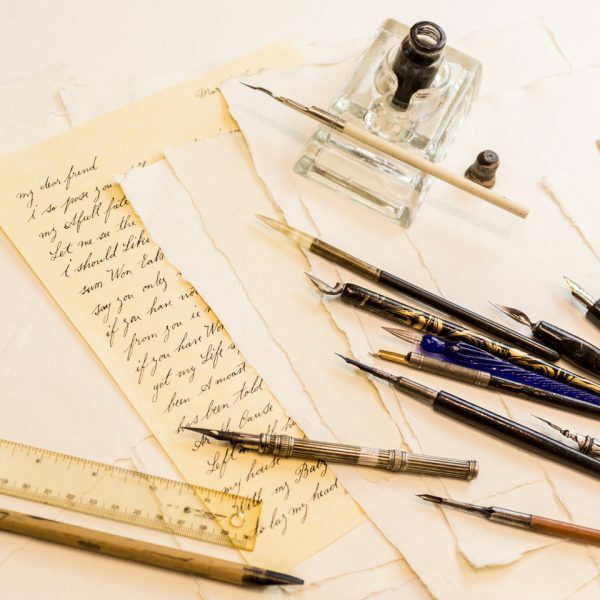 During the workshop, you’ll use a special calligraphy kit, which will be yours to keep, including pointed nib, pen-holder, calligraphy ink and instructional handouts. Freshly-brewed coffee/tea and delicious cake are also included. Paper and envelopes will be provided in the workshop. The four-hour workshop is suitable for beginners and improvers in this beautiful art. Elizabeth Gaskell, in a letter to her friend Eliza Fox in 1850.